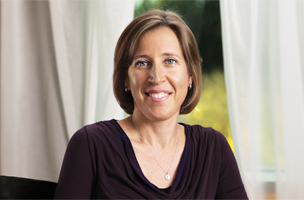 Susan Wojcicki, who formerly oversaw ads and commerce at Google, is taking the top spot at YouTube. 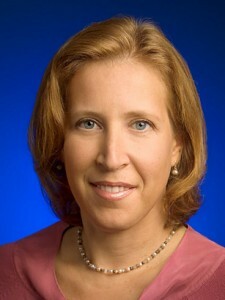 Susan Wojcicki, SVP of ads and commerce at Google, is taking the top spot at YouTube, reports Recode. She replaces Salar Kamangar, who will continue to work at the search giant on some yet-unnamed projects. Back when Google was a scrappy startup, it operated out of Wojcicki’s garage, which she rented out to Larry Page and Sergey Brin at $1,700 a month. She became employee number 16, and was perhaps the most important person in advertising. As we recently touched upon, being a content creator on YouTube is getting increasingly difficult due to the saturated market. While YouTube’s revenues were up 51 percent in 2013, with one million channels trying to monetize video, there’s less to go around. Wojcicki was responsible for the company’s $43.7 billion dollar ad business, so if there’s anyone who can beef up ad revenue on the video platform, it’s her.